As the number of shared trades has been climbing lately, it became clear that the old shared trades page was outgrowing its initial design. 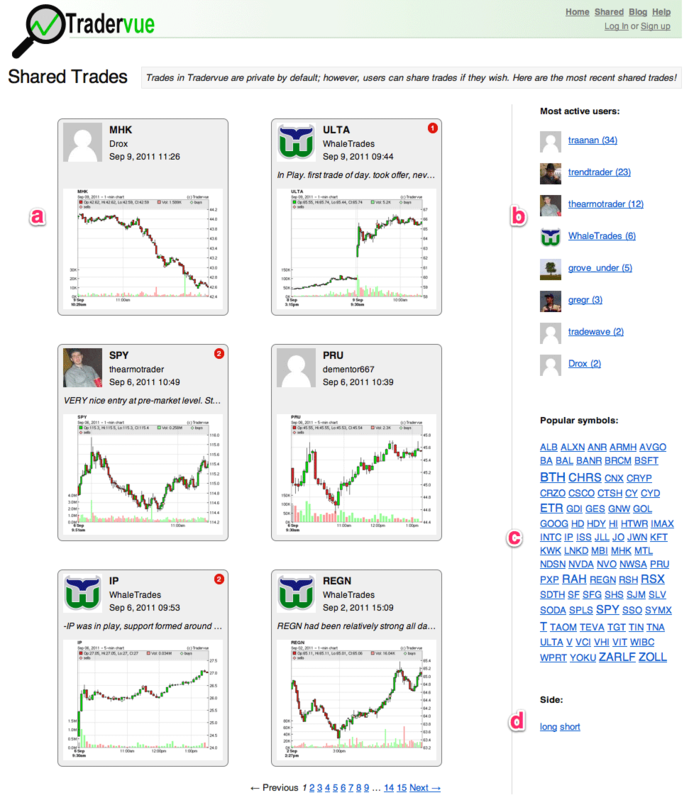 So now, the new, redesigned, and much more useful shared trades page! a. The trades themselves now take center stage. Each trade contains a thumbnail of a price chart; the chart will be one of the ones the trader has chosen to share with the trade. We decide which of the selected charts to use based on a “best-fit” technique – basically, the most granular chart that shows the entire trade is the one we will show. Click on a trade to see the detail or leave a comment. b. A list of the users who have shared the most trades. Is your name on that list? If not, why not? 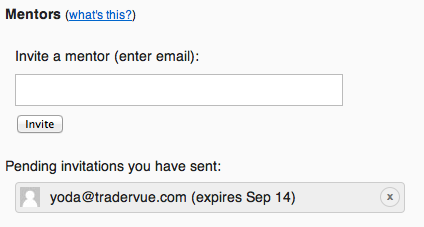 🙂 Clicking on a user will filter the shared trades to just that user. c. Popular symbols, in a “tag cloud” format where the most popular symbols will be in a larger font. Clicking on a symbol will filter the shared trades to just that symbol. d. Trade side – clicking long or short will filter the shared trades to just those on the long or short side. So come check out the new shared trades page, perhaps add some of your own trades to it, and leave some comments for other folks! Many traders have a trading coach or mentor. Most of those at proprietary trading firms do, but many independent traders have found mentors as well. Some of these folks have asked for the ability to allow their mentors to see their data in Tradervue, and be able to comment on their trades. This could already be done by sharing trades publicly, but there was clearly a desire to be able to share privately with mentors, without having to make all trades public. So we have developed a mentor system within Tradervue. The first step is to log in, click on your name in the header at the top right, and then click the “Mentor Settings” tab. The first time there, you’ll see that you can invite a mentor by entering their email. 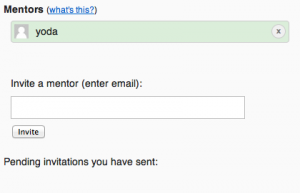 Enter your mentor’s email address and click “Invite” – you’ll then see your pending invitation listed, and an invitation email is sent to your mentor. After that’s done, you won’t notice a whole lot of changes; you will see the comment fields available on all of your trades, rather than just the trades you have shared, but that’s pretty much the only change you will notice. Your mentor, however, will see something different. When they log in, they will see a drop down where they can select to view either their own data, or the data of one of their mentees; depending on what they choose, they will see different data. Your trading mentors have access to all of your trading and P&L data – they can see your share volumes and P&L, reports, etc. 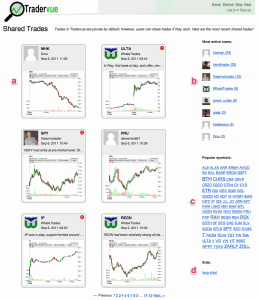 They cannot edit any of this data, but they can leave comments for you on your trades. Give the new mentor/coaching features a try, and let us know what you think! 2. In Excel, copy everything on the first worksheet to the clipboard (edit/select all, edit/copy). Or, at a minimum, copy the headers and the execution data. 3. On the Tradervue import page, select “Generic Import Format”, and then paste from the clipboard into the “Data” box and click Import.